Many brides may skip the services of wedding planners because they prefer to plan the details themselves, research and interview their own vendors, and handle all the vendor coordination and payments on their own. Sometimes budget-minded brides also (mistakenly) assume it will be cheaper if they just do it themselves. While we all like to have complete control over our weddings, there are definitely some circumstances that make the need for a wedding planner more crucial than others. Here are 6 scenarios where a wedding planner is worth his or her weight in gold! Is a destination wedding in your plans? If so, consider hiring a wedding consultant that is located at the destination. Consult with your venue for recommendations of good wedding planners in that area. If you are planning a large wedding (200+), the sheer size alone may necessitate having multiple hands to be able to handle everything. Having extra (non-family) hands the day of the wedding can eliminate stress on everyone. If you are planning an outdoor wedding, a planner is extremely helpful. They coordinate the placement of tents and tables, as well as details to accommodate the natural environment to make everyone more comfortable (pest control, fans, umbrellas, signage, and more). 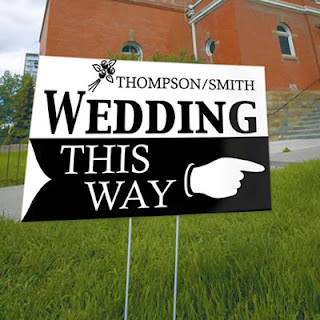 Additionally, in the event of inclement weather where your backup plan has to be implemented at the last minute, your wedding coordinator will be the go to person to ensure changes are communicated to venues, vendors, and guests. We hate to say it, but people are not always on their best behavior at weddings. If difficult family dynamics come into play, the services of an "outsider" can be most welcome. They serve as a go between from a non-biased perspective. That outside voice can become a great negotiator, if needed. If your work schedule is totally inflexible, a wedding planner will be invaluable to you. If you have a 40+ hour per week job, you may not have the time that is truly needed to get all work done around the big day. Save yourself the stress ... a professional coordinator can take a huge amount of work and follow up off your hands. Hey, we all have our strengths ... and our weaknesses. If you are organizationally challenged, it will benefit you to have a wedding planner on your team. Play to your strengths ... you are the idea person! Let the professional handle the details of executing your vision. It is not worth the additional stress if contract details and follow up confirmation calls freak you out. A good, professional wedding planner or consultant can make all the difference in the world. While it may not be necessary for all brides to hire one, we think these 6 key situations definitely warrant it! Their contacts alone become invaluable in the event of a problem or no-show (yes, it happens). Enjoy your wedding planning process ... and consider soliciting the help of a professional if it makes sense for you!